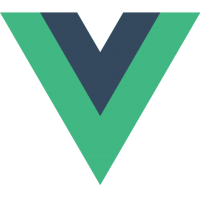 Vue.js is a library for building interactive web interfaces. It provides data-reactive components with a simple and flexible API. Lots of people use React as the V in MVC. Since React makes no assumptions about the rest of your technology stack, it's easy to try it out on a small feature in an existing project. 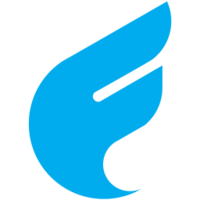 Flight is distinct from existing frameworks in that it doesn't prescribe or provide any particular approach to rendering or providing data to a web application. It's agnostic to how requests are routed, which templating language you use or even if you render your HTML on the client or the server. While some web frameworks encourage developers to arrange their code around a prescribed model layer, Flight is organized around the existing DOM model with functionality mapped directly to DOM nodes. Why do developers choose Vue.js? Why do you like Vue.js? Why do developers choose React? Why do you like React? Why do developers choose Flight? Why do you like Flight? What are the cons of using Vue.js? What are the cons of using React? What are the cons of using Flight? What tools integrate with Vue.js? What tools integrate with React? What are some alternatives to Vue.js, React, and Flight? Before two weeks ago or so, it used to be Backbone views and models, and everything was on our main store app, and our mobile web app, but actually, we just switched our mobile web app to using ReactJS for the interface. So it’s using Backbone models but ReactJS front-end components. Really, it was borne out of the frustration with how the Backbone model-view bindings worked, and it wasn’t especially performant for large views, and we had to do lots of tricks to make it performant. But swapping that out with React views meant that it could be both simpler and faster without having to spend a lot of time on that. One other interesting thing about that is, since React actually works okay with the Backbone models and the Backbone router and stuff like that, we didn’t have to rewrite the mobile web application and update it to ReactJS. Rewrites are almost always a bad idea. We were able to upgrade pieces of it at a time, move on to React, and now the entire thing is using React and just has the Backbone router and models and stuff like that that we already had, so it's a lot faster. At the beginning of last year, Netflix UI engineers embarked on several ambitious projects to dramatically transform the user experience on our desktop and mobile platforms. Given a UI redesign of a scale similar to that undergone by TVs and game consoles, it was essential for us to re-evaluate our existing UI technology stack and to determine whether to explore new solutions. Do we have the right building blocks to create best-in-class single-page web applications? And what specific problems are we looking to solve? Much of our existing front-end infrastructure consists of hand-rolled components optimized for the current website and iOS application. Our decision to adopt React was influenced by a number of factors, most notably: 1) startup speed, 2) runtime performance, and 3) modularity. React has exceeded our requirements and enabled us to build a tremendous foundation on which to innovate the Netflix experience. Web-frontend programming prior to React: like banging rocks together. 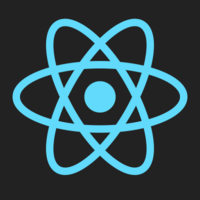 With React: Like wearing fusion powered underwear. Gives you a nice warm feeling. Using React for Cloudcraft.co allowed us to create a beautiful UI in record time (1 month start to launch), with virtually no bugs popping up during development. The functional approach to just rendering your component given a state just makes so much sense, with React figuring out the delta between your current and desired representation. It's the future kids! React is choice number 1 when it comes to JS development at Kurzor. We choose React because it solves many issues with web applications in a elegant way. Writing an app in components is useful for coordination and isolation of concerns. React forces you to abandon state and use vertical passing through props instead. And having as many Pure Components as possible helps to write cleaner code. With React we usually use: Redux, React Router, React Toolbox, Styled Components. This is the best component framework and API available today for building modern web sites and apps. I really enjoy how minimal it is, and powerful at the same time. It removes opinionated development and replaces it with logic and data philosophies, which has in turn fostered a robust and lively code and support community. We think VueJS is great. It's the main tool used to generate the client-side UI of our updated admin system, as well as being used in other smaller projects. The possibilities that VueJS brings to the table, means that we can quickly create rich and app-like interfaces and experiences. Vue.js is used in Kuro (https://github.com/Marc3842h/kuro). Kuro is the browser facing portion of shiro. Vue.js is used for rendering the interface of https://shiro.host as the frontend is client side rendered. Vue.js is my front-end framework of choice. It's light, fast, and extensible. Its simplicity and reactivity system make it an absolute pleasure to use and it has a wonderful, ever-growing community. New and very popular. Less legacy to deal with compared to React. Great documentation. Easy to get started. It's amazing! Single file components, supports pug and sass, very easy to use, very fast, light weight.